Up to the Waves: E-Book Exploration--What's My Choice? No matter which version I choose, the online access to the book will expire on July 30, 2012. I won't own the book. 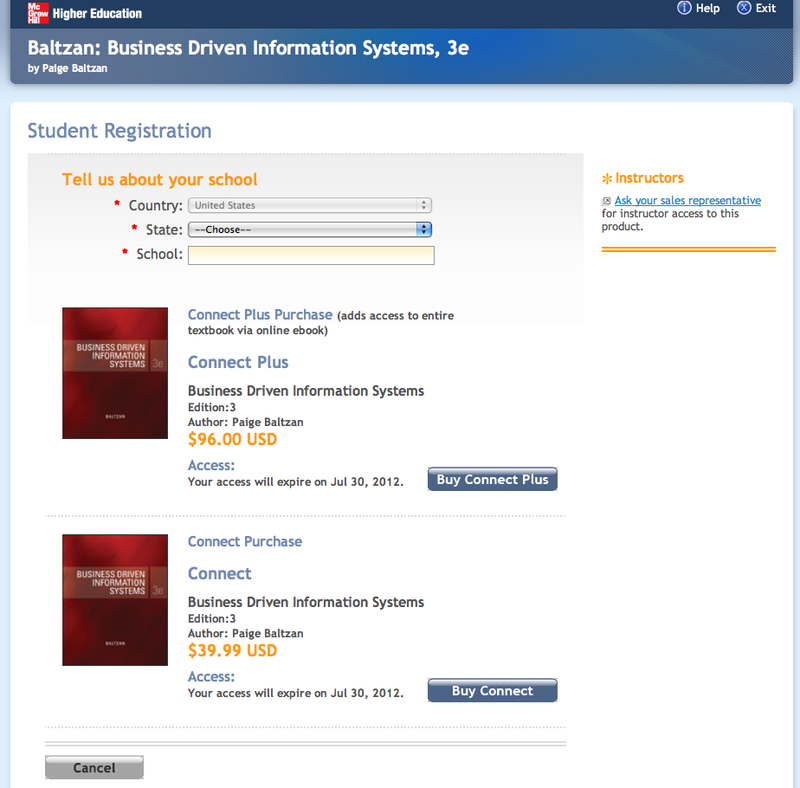 2) Purchase paper copy from www.textbook.com. I will get 50% cash back when the books are returned to the site by June 30, 2012. Later I found out. I really didn't have any choice but pay for the Connect Plus from McGraw Hill. Why? Because it's a required textbook version from the instructor. Look at McGraw Hill's ads about its Connect, which has so many attractive build-in features and tools that any instructor, I'm afraid, can resist taking it. It ties coursework closely with the e-book content and saves instructor lots of time. I can see this really as a publisher driven model that has nothing to do with the library. They aim directly to the instructor. I guess, the publisher might even provide a free copy for the instructor to use for the course. In return the instructor might require the entire class to buy a Connect ebook. When the instructor wants it, the student won't have any choices, will they? Looking at this model, questions swept through my mind: What's the library future for electronic books? Who are the driven force for electronic books? What can or should libraries do about this, ignore, accept, or do something? What's the best for students?